There’s a lot of bad stuff in the world. Murder. Poverty. Zoe Saldana’s wig in the Rosemary’s Baby mini-series. Which is why we all need a little bit of goodness in our lives. 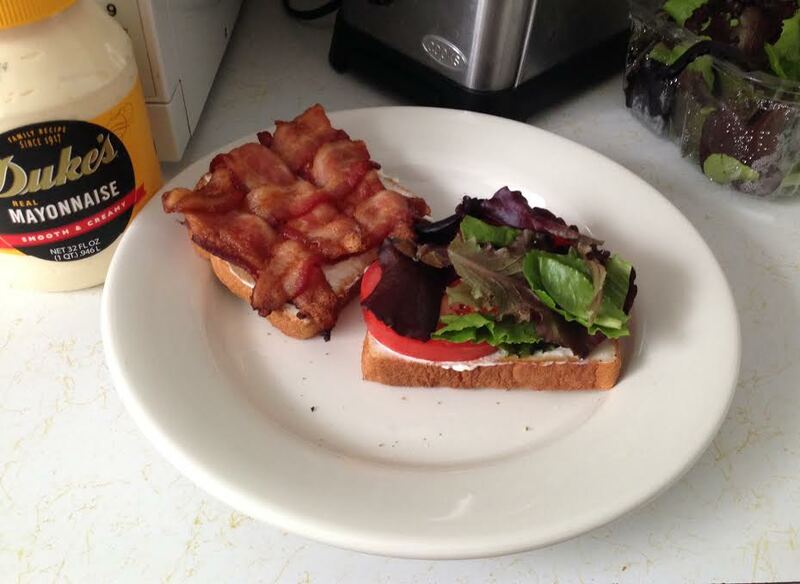 I give to you: the bacon weave. Did I come up with this? No. Not even a little bit. Did it revolutionize my life? Absolutely it did. I was out in LA on a shoot with some people and was talking to a friend of mine about my favorite subject: bacon. (It might’ve been about pork products in general, but I digress.) And he was telling me about his technique for putting bacon on a burger: the bacon weave. You simply take 3 strips of bacon, cut them in half and weave them together like a little basket. Bake on a parchment-paper lined cookie sheet at 400 for 15-25 minutes until crispy. Put on sandwich. Change your LIFE. Heaven must be missing an angel. “It’s great,” he told me, “because you get bacon in every bite.” It’s so great that he asked me if I’d tried it like, the very next day. “Nah, man. You just told me yesterday.” But I wish I had. It’s THAT GOOD. The other benefit is that your bacon doesn’t fall out of your sandwich. Like a bad infomercial. Has THIS ever happened to YOU? Get control of your life. Be a man, even if you’re a woman. Weave your bacon. Put it on a BLT today. I CAN’T WAIT TO TRY THIS IMMEDIATELY!